This is a set of 2 NEW Red Bird Power Window crank hole covers for 1970 - 1981 Firebird / Trans Am with factory installed power windows. This emblem mounts on to the door panel and features a crisp colored Red Bird emblem.. These fature the red bird logo with chrome accdent surrounds. 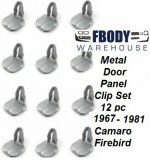 Our industry leading door panel install kit and door handle cups combined in this SALE item set! 1970 – 1977 Models with 2 & 3 Pc Door Panels. USE THE DROP DOWN MENU BOXES TO SELECT YOUR EXACT NEEDS. 1970 - 1981 Trans Am Camaro door panel mounted armrest / door pulls. These have the correct inner structure and are NOT the rubbery urethane style . These are a true - 100% correct factory reproduction. Canadian orders will have a $10 surcharge. Canadian orders use drop down box and select Canada. Available in 10+ colors molded in black, use the drop down box to select your color needs. Units will be reset to your color choice using SEM Color Coat products and correct low luster clear coat applied. This is a used GM door lock pull mechanism for 75-81 Camaro and Trans am. This will work for either side. Has the threaded end where the lock stem screws on to. This is a new replacement power door lock actuator. These are the highest quality replacement units in the market place and are not rebuilds, they are indeed new. Units include rubber water shield sleeves and install is quick and easy. Factory units are known to go bad so make your power locks function strong once again as the factory intended! Sold each so if you need both doors select quantity 2! The 1972-75 Firebird standard door panels feature an accurately reproduced OEM design including dielectric lines and correct stitch bar. Panels are produced in Madrid grain vinyl as original. Produced to exact factory specifications and will install as original offering a distinctive quality appearance. Note: Lower plastic panel, arm rest, and upper trim portion not included. 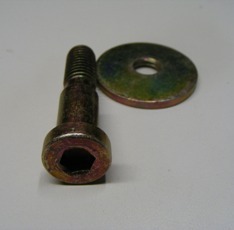 These clips are used on 70 - 77 Camaro and Trans Am with the plastic lower door panel WITH map pocket. 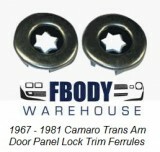 This is a pair of new replacement fully assembled door panels for 1970 - 1971 Firebird & Trans Am. 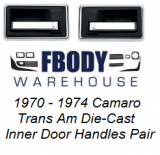 This is a pair of new pre-assembled door panels for use on the 1972 - 1977 Trans Am with standard interior. This is a pair of deluxe interior 1972 style replacement door panels. This is a pair of deluxe interior door panels for 1973 - 1976 Trans Am models. These are pre-assembled door panels. This is a PAIR (Left & Right) of the upper door panel trim for the 70 - 74 Camaro and Trans Am. This is a pair of 1973 1974 Firebird & Trans Am Middle door panels. This is the driver side door panel mounted side mirror adjuster bezel retainer back plate. This unit mounts to the rear side of the door panel the the 2 screws which hold the adjuster plate to the front of the door panel screw into this retainer. Unit fits all 1970 - 1981 models and does not come on the per-assembled door panels Units are often missing and is nice to replace with a correct reproduction part!. Use the drop down menu to select your shipping location. Outer door panel mounted bezel the adjuster knob sits within. These are new replacement 1970 - 1981 Camaro and Trans Am INNER door panel mounted weather seals. These mount on all 70 - 81 models and squeegee the window as it rolls up and down. Factory seals become brittle and can lead to scratches in the window and can cause wind noise in the cabin. 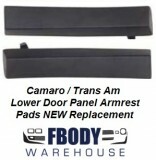 New replacement lower door panel armrest panel pad. New replacement rubber armrest pad for 73 -77 Camaro and Trans Am with 2 pc style door panels.